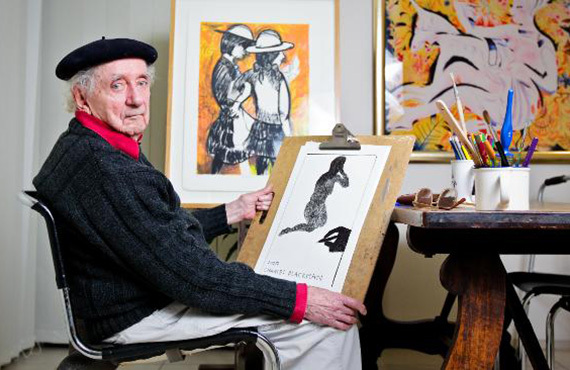 Charles Blackman was born in Sydney in 1928, Blackman studied at the East Sydney Technical College and later became a staff artist for the Sydney ‘Sun”. He uses a symbolic style of painting and has received many awards, including the Helena Rubinstein Scholarship in 1960. With many one man shows behind him, he is recognised as one of the major art forces in the 1960s. His work is represented in most state and provincial galleries.